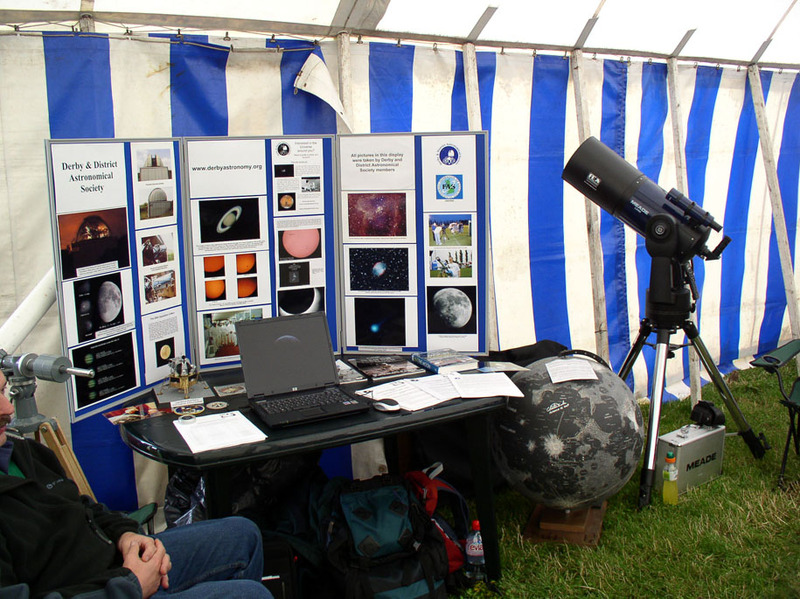 The DDAS had a stall at the Barton Gate Charity Steam Rally on Saturday, 18th July 2009, having been invited to be present by the organisers. 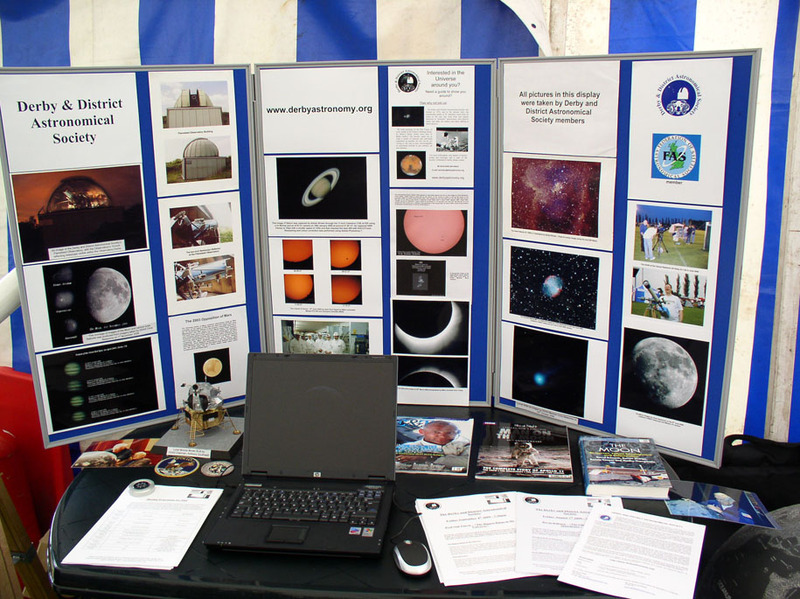 We were given a place in the craft tent and set up our display of member's astrophotography and Society information. Mike Dumelow brought along the DDAS moon globe which is signed by a number of Apollo astronauts. In acknowledgement of the 40th anniversary of the first moon landing DDAS Chairman Anthony Southwell brought along some information on the Apollo missions and a model of the lunar module that he had constructed. 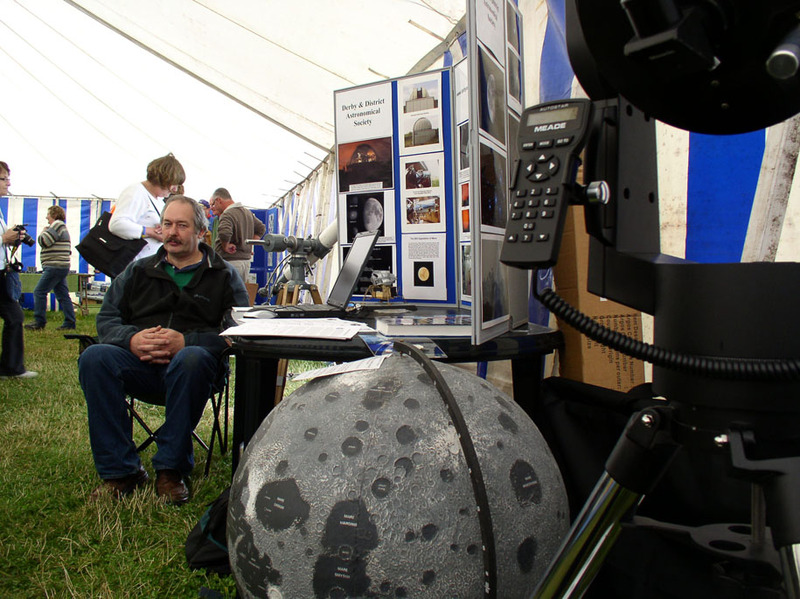 We also had the DDAS LX-90 telescope set up by our display as a 'static exhibit'. All pictures on this page are by Mike Lancaster.